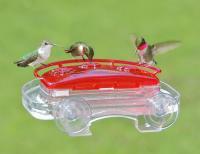 Get up close and personal with nature with the Songbird Essentials Clear View Mini Window Feeder. 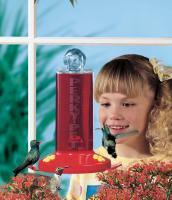 This clear feeder offers spectacular and intimate views of your backyard birds from the safety and warmth of your own home. 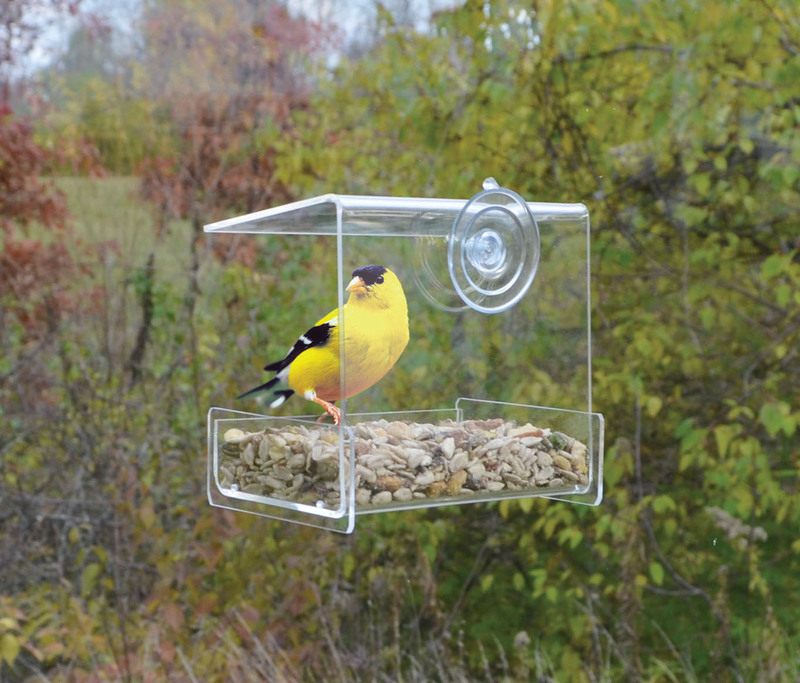 The small feeder attaches to any window or flat surface via the sturdy suction cup. 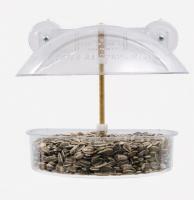 With its clear design, you'll be able to see the birds eating seed from only a few inches away without scaring them. 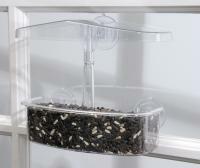 This particular iteration of the window feeder holds one cup of birdseed, but you can also get the larger model that holds two cups or the deluxe one that holds four cups. Whether you're looking to introduce young kids to birding or simply want to experience nature face to face, this durable acrylic feeder is the perfect addition to any yard. VERY cheap plastic!!! I knocked it against the side of my house less than a week after I got it to clean out some feed that had gotten wet from rain and was stuck in the tray, and it cracked in half. 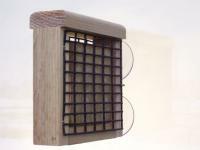 Also, it was very tiny; never saw a bird even use it in the few days I had it; looked like a baby Wren or Chickadee would be too big to use it. Incredibly disappointed for the $15 plus shipping spent!